The run-up in home prices, fed by rising demand and increasing supply, is over declares The Wall Street Journal. In a report Tuesday, the newspaper focused on the Dallas, Texas market where it notes that home builders are desperate and going to extreme measures to sell homes. "In the high-end subdivisions in the suburb of Frisco, builders are cutting prices on new homes by up to $150,000," The Journal reports. "On one street alone, $4 million of new homes sat empty on a visit earlier this month. Some home builders are so desperate to attract interest they are offering agents the chance to win Louis Vuitton handbags or Super Bowl tickets with round-trip airfare if their clients buy a home. Yet fresh-baked cookies sit uneaten at sparsely attended open houses." The numbers in that paragraph may offer a clue to consumers' declining interest in buying a home. In short, the homes have gotten too expensive. If a builder can cut the price by $150,000, chances are it was a pretty expensive home to begin with. In the last nine years, home prices have made a remarkable recovery from the housing crash, when a wave of subprime foreclosures cut the value of homes in some markets in half. But unlike the housing bubble period when cheap money inflated home prices, the recovery was led by supply and demand. There just weren't enough homes for sale. Real estate marketplace Zillow has released data suggesting this trend is reversing on a nationwide basis. After months of declining inventory, October saw an increase in the number of homes on the market. The number of available homes increased by 3 percent year-over-year, making it easier for someone to buy a home. Over the last three years, buyers in the most popular markets have been frustrated by a lack of choice and by having to outbid other buyers when they were able to find an acceptable home. "In yet another sign that the housing market is cooling, we're finally starting to see inventory return after several years of annual declines," said Zillow Senior Economist Aaron Terrazas. "The combination of tight supply and strong demand have pushed up home values in recent years, but markets always ebb and flow and there is no doubt that the tides that have buoyed sellers are shifting." That's not to say that it has become a buyers' market. The numbers show that inventory is increasing the most in places where homes cost the most. Buyers are balking when homes approach or exceed $1 million. Home builders that have ignored the entry-level market to focus on high-end homes are likely to feel the most pain when these expensive homes sit unsold. The inventory of entry-level homes remains fairly low making it more difficult for buyers to find the home they want. 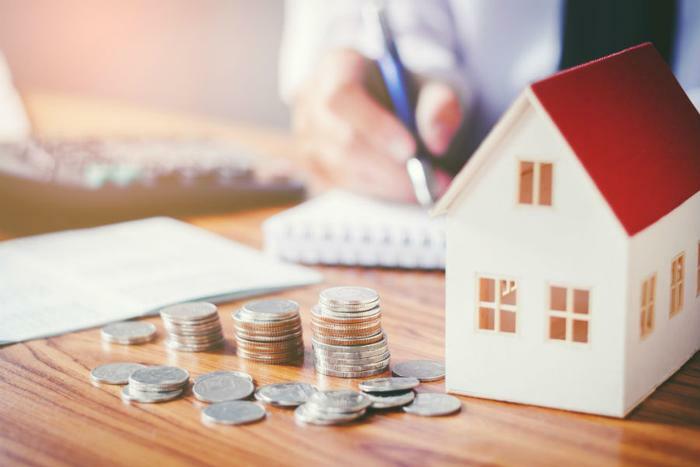 Now that mortgage rates are rising, some potential buyers in that market segment may be less inclined to become homeowners, especially since Zillow reports rents have flattened or even fallen in some markets. Meanwhile, the build-up in home inventory has not yet reduced home values. Zillow reports home value appreciation held steady in October at 7.7 percent, with the U.S. median home value at $221,500.